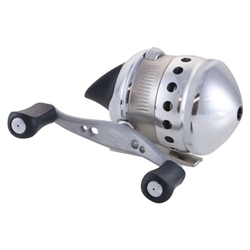 Zebco's Omega Professional spincast reel has a diecast aluminum body and reel foot. This reel also features 6 stainless steel ball bearings and 1 stainless steel roller clutch bearing. You can't go wrong with it's 2.9:1 brass helical-cut worm gears.